Michael developed his eye for fashion, beauty and makeup during his early career in the music business, and his transition from music to beauty was natural. As a graduate of the International Academy of Cosmetology, Michael trained with the industry’s top professionals. He honed his craft through additional training with leaders such Toni & Guy, L’Oreal Professionnel, and Oribe. 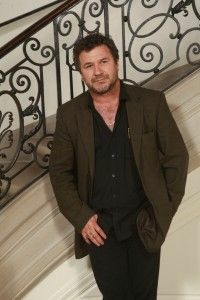 He has produced hundreds of professional photo shoots and multiple fashion shows, and has been seen in publications such as Salon City, Ladies Home Journal, American Salon, Modern Salon, and Stylist Magazine. He is credited for hair and makeup on both film and television productions and is a red carpet specialist for the Oscars, Emmys, Grammys, and Billboard Music Awards. Current with new styles and techniques, Michael gives his clients a contemporary, fashionable look that suits their lifestyle. Personal service every time makes the Cheveux Hair and Makeup experience unique.